How do I remove a member of my Tribe? 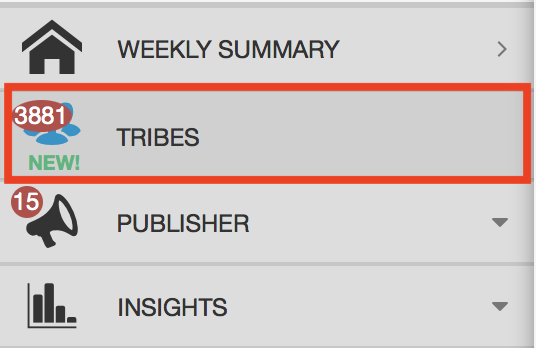 If you are a Tribe Owner or Tribe Admin, learn how to manage the members of your Tribe here. Are you doing some updating on your Tribe, and need to remove a few members? Only Tribe Owners and Admins have the ability to remove someone from a Tribe, so if you are not one of those please talk with the Tribe Owner. If you are the Tribe Owner or Admin, then you will be able to remove members for whatever reason you might have- but be sure to let them know as we will not! 2. Select the Tribe you would like to update. 3. Hover over the member you would like to remove, and select "Kick Out." Helpful Tip: Once you "Kick Out" a member of the Tribe, all of their content will be removed from the Tribe. 4. That member, and their content, will now be removed from that Tribe.